Hey, guys. This is Jentzen with your fun fuel for this episode. Now, today’s fun fuel is going to be about Coach Handbags and the history behind them. The Coach Company was originally created in 1941 by the Coach family out of a small shop in Manhattan. The Coach family had a small team of six, and they were making wallets and billfolds out of leather, and they were doing all these by hand. Five years after the company was created in 1946, the Coach family joined up with a man named Miles Cahn and his wife, Lillian, who owned their own leather handbag manufacturing business. Fifteen years later in 1961, Miles Cahn and his wife ended up buying out the Coach family and making the two companies one company. Now, Miles was amazed at the leather baseball glove and how over time, the leather of the baseball glove becomes more flexible, softer, and more supple. He attempted to mimic that leather in his own leather of wallets and handbags. Through attempting to mimic this, Miles ended up creating leather that was stronger, softer, and more flexible. Now, he also found ways to color the leather. Little did he know that leather itself actually holds color incredibly well. Now, it wasn’t until Miles’ wife suggested to him that they not only make wallets and bags for men but they start creating accessory bags for women. Now, this is when their company really boomed. As the company grew more and more successful, Miles and his wife hired sportswear and fashion designers to add more creative elements to their bags making them even more successful and growing into the famous Coach bags we see around the US today. This is Jentzen, and this was your fun fuel for today’s episode. Very nice. Thank you, Jentzen. Let’s transition. 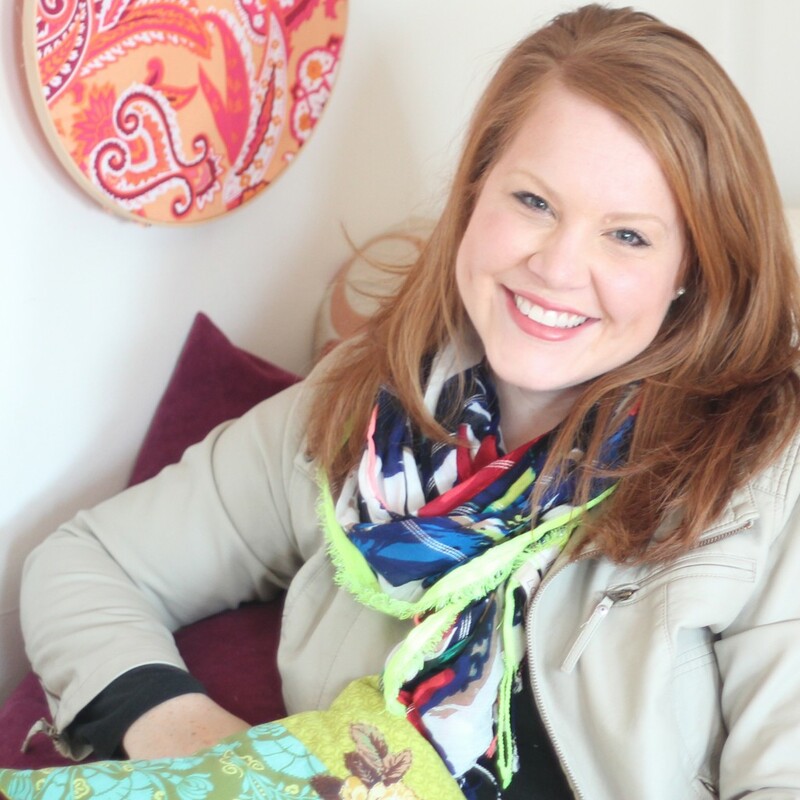 Please meet Rebecca Smith from Better Life Bags. Welcome, Rebecca to the podcast. Now, let’s talk about what Better Life Bags is. We make custom leather and fabric handbags. We manufacture them here in Detroit, Michigan, actually in a little city called Hamtramck which is surrounded by Detroit on all sides. We hire women who have barriers to traditional employment, and they work here in our workshops. Some of them work from their homes. Whatever their specific need is, we try to work with them in that. Then, our customers go on to our website, and they customize and design their own bag. Then, we make it to order for them here and shop. Social enterprise at its finest. We’ll come back and dig in. Let’s let listeners know where we’re doing this interview. Right now, I’m actually in our workshop. If you hear background noise, it’s a working manufacturing studio. Pretty small, I’d say 1600 square feet. Actually, big to us. We just moved from a 700 square foot space into this space. It feels enormous. We’re right here in Hamtramck. We’re cutting leather, we’re cutting fabric, we’re sewing, we’re shipping, and all today. For those who might not have some knowledge about the community and the neighborhood of Hamtramck within Detroit, would you mind giving us a feel of the demographics because, in my opinion, it’s incredibly unique. Yeah, it’s super diverse. I believe it is Michigan’s most diverse city. I’ve heard other people say that it’s actually one of the most diverse cities in America. Forty years ago, it was 90% Polish immigrants. Then, over in the past, I don’t know, twenty years or so, there’s been a high influx of immigrants from Yemen, Bangladesh, Afghanistan, Albania, Bosnia. It’s a melting pot of cultures. This is the first stop for immigrants to land, get their feet on the ground, and then after a few years, they’ll move out to the suburbs and the second generation of immigrants will grow up in the suburbs. We have highly first generation immigrants here in our little city. Twenty-six languages are spoken at my kids’ school. You see them in English. It feels like a different country. It’s only two square miles. It’s very small. It’s just an interesting place to be. Amazing food, for sure, because everyone is bringing their authentic recipes. Then, they’re opening restaurants here. It’s a really fun place to be. If you’re not familiar with Hamtramck, those are your lists, and you’re going to have to make a journey in. Check it out. It’s just a stop worth having. Thanks for that anchoring to your place. Now, would you take us on a journey of how this all started and it will probably lead to the reason why you and your husband are actually living in Hamtramck. About seven years ago, I was pregnant with our first child, and I decided to make myself a diaper bag. My grandpa had taught me to sew when I was really young, and I’d lost the art of it. My mom had bought me a sewing machine for my birthday that year maybe to spark something up again. I had the time, so I decided, “Let’s try it.” I had a friend help me make my first diaper bags. We went to the fabric store, we picked out the fabrics I wanted, came home, and created my very own diaper bag that fit my style and to match my son’s nursery. I posted pictures of that bag on Facebook. Some friends and family commented, “You should sell these. I would buy one of them. You should open an Etsy shop,” which Etsy had just come on to the scene about that time, and I had never heard of it before, but after doing some exploration, I realized anyone can open an Etsy shop, and you just have to have an email address, and you can start selling things that you make on Etsy. I had nothing lose. I thought it would be a fun hobby of mine that I could sew bags as I enter this new season of motherhood. Opened an Etsy shop. We named it Better Life Bags even way back then because my brother had introduced me to Kiva, the microloan company at Christmas that year. He had given us a $25 Kiva gift card which, at first, I thought was the worst Christmas gift you could ever give anyone because I had to turn around and give that money away. It’s $25 that you can’t have. You have to go and loan it to someone. I hopped on the site and I’m looking through all these profiles of people who are raising money in third world countries to open a grocery store, to buy more sheep, and I was just addicted to the whole concept. I thought it was so cool. I decided, these bags that I’m selling on Etsy, I can donate a percentage of them and give more and more loans through Kiva. We named it Better Life Bags in the sense that these bags would be helping make someone’s life better by your purchase. I sent a picture of, it’s usually a woman, sometimes a man that that loan was going to go help with the bags. The customer was receiving a bag, and then a picture, and a story of the person through Kiva. That was the original intent. It seemed very easy to me and just ought to be a simple, little hobby. About six months later, my husband decided to move us to Michigan. We were in Savannah previously, Savannah, Georgia. He had been overseas in the military, just developed a real love for Muslim culture and Muslim people, and just thought it would be really cool to raise our kids and our family in a really diverse neighborhood, a place that has a need that we can really get grounded in, and invest in. Somehow, he heard about Hamtramck, Michigan. We had never visited before. I just said, “Let’s go.” I think I was in this newborn fog. I didn’t realize what I was saying yes to. We packed up everything and moved to Michigan to this very different city that I never had in my life lived in anything remotely close to it. I grew up in suburbs, in middle-class America. To be in a low-income city with so many different cultures, it was a real culture shock. I really desired to have friends with people with different cultures, but it was very awkward and hard. My first friend that I made, she was from Yemen. Her name was Nadia. She spoke no English. I spoke, obviously, no Arabic, but we both knew how to sell. We spent our first evening together in my basement sewing a bag, one of the bags that I sold on Etsy. We had a good time. We didn’t have to speak each other’s language to sew. That’s a universal language. That’s how we spent our first night together as friends. About three years into living here, the business, some bloggers caught wind of it. Someone with about three million Pinterest followers pinned one of my bags on the Pinterest, and things just went crazy. I couldn’t keep up anymore. It was too busy to do during my kids’ nap times. I had two kids then at that point, and I couldn’t keep up. I called my friend, Nadia, that I had spent time with in the basement sewing. She has gotten much better at English as the years had gone by and I said, “I need help. Can you sew all the insides of these bags, also all the outsides, and we’ll put them together twice as fast?” She was really excited about it. I started going to her house once a week and dropping off fabric, and picking up the bags that she had done the week before. Then, the same thing the next week, drop off and pick up. I’d bring my kids, and we would stay, and we would hang out every week, and just really deep into our friendship at that point. I pay her bag, per piece. Eventually, she got so good at the insides that I said, “Here, I’ll teach you the outsides too,” and she was doing the whole bag, and we went even faster at that point. I’d say about six to eight months into this routine, she met me at our weekly drop off and picked up, and she said, “I got to show you something.” She leads me upstairs to her kids’ bedrooms and for the first time, she had bought her kid’s bunk beds; whereas before, they were just sleeping on the floor. She has four children. Her husband works at a gas station and does his very best to make ends meet, but it’s never really enough. This extra income in their family was allowing them to buy things that I consider necessities, but they had never been able to afford before like a dining room table. Like I said, bunk beds. They got their first couch. I started to see really the difference that a job could do for her. She’s unable to get a job outside of her home because she’s a Muslim woman because she’s very conservative Muslim woman I should say. In her culture, it’s not easy to go out and get a job amongst mixed genders, but she could sew inside the comfort of her home, and she has four children. Getting the job outside of the home is impossible in that way too. We now have about sixteen employees. All of them have some barrier to employment whether it’s culture, language, education, kids. The Better Life Bag aspect of it switched from sending money to someone overseas that I would never meet to investing deeply into the lives of my neighbors and the people in our city. Wow. I just want to make a comment here. You’ve hit on something that is not talked about very often. Often, we talk about the barriers to employment to be maybe former criminal records or past drug use. You come over one level or go over, I guess, one neighborhood and their barriers are languages, education, and potentially culture. I think a lot of people don’t think about that; and yet, it does prevent. It’s amazing. Yeah, the unexpected barrier to employment because definitely, wouldn’t we say if we hire women with barriers to employment, you think ex-con, people who are trying to enter back from the prison system, but there’s a whole gallery of women that have different barriers to employment. Right. Sometimes, it can just be got some children at home that you have to talk about as got to be some type of employment that you can sneak into the cracks of motherhood. You’re up to sixteen employees now. Some are in your workshop, and some stay at the home as you told us in the beginning. Right. We let them choose. Our newest seamstress that we hired is from Afghanistan. She’s an asylum seeker to the States. She is free and able to come to the workshop every day to work. She spends Mondays through Thursday in the shop with us which is really fun just to get to see her and interact with her on a daily basis. Then, our other seamstresses do about 90% of the bags in their homes. Then, they come into our shop once a week for a couple of hours, and they use our industrial sewing machines to finish up any leather work. Then, they pick up their next batch for the week. Let’s stay on this social mission of employment. What else are you noticing that changes with the women after they’ve been with you for a season? What other subtle things do you tend to notice? I think one of the unexpected things that even I didn’t see coming is we have so many different cultures represented in our sixteen employees. We have African-American, we have Bengali, we have Yemeni, we have Afghani, we have white American, and to see all of that interact on a family level, I think, is really unique. I actually remember their first day that our African-American women started work. Some of our seamstresses were actually a little bit afraid. They had never interacted, or talked, or been in the same small space with people that were not from their country. To see that stereotype be overcome and to see them say hi to each other, and hug, and share a meal together is just really, really cool and something I would never have anticipated would be a result of this type of social enterprise. It’s reminded me of some of the work we’ve done in other countries where this Christian Jewish and Muslim, and finding this common denominator whether it’s cultural, or religion, or whatever, you could fill in the blank. If the hearts, I’d like to say, are graceful enough to take the time to find that common denominator, now, you’ve got something to build on together. There’s always something in here. We’ve got motherhood. We’ve got similar, perhaps, reasons why they have barriers. Then, yet, they’re all coming together around producing a product. It’s just really, really great. Yeah, it’s a lot of fun. Challenging but a lot of fun. Yeah, I’m just imagining, you’ve got to have a lot more patience because there’s translations going on, right? Yeah, a lot can be lost in translation for sure. Even quality translations on what our customers in America are expecting their product to be, quality-wise. It was a huge jump that we’ve had to make with every new seamstress. They are in quite a training period before we start shipping out their products. Not good or bad but quality expectations are different in various countries than they are in America. That’s been interesting. Sometimes, I joke with my husband that things would have been so much easier could I just kept sending money overseas but anything that is hard is always worth it, in my opinion. I won’t change anything for sure, but sometimes, that seems so much easier, in fact. Let’s go to your husband for just a minute. When I met Neil, I was so taken aback at his heart. He had gone overseas, served in the war, and instead of coming back, just like “I got to get home. I got to get away from this,” he came back with a burden in his heart to serve the culture and moves his whole family from Savannah to Hamtramck. I just was struck by the burden of his heart to help a group that’s very different from him. It’s not just he’s a man, and these are women. There was differences in where he grew up, differences in religion, yet, he was so burdened to serve. I was just so struck by that. Yeah. He’s an incredible man. We would not be here if it weren’t for him. I would not have the guts to move out of something I was comfortable to me and move into a new city. I would not have had the guts to keep going with the business when it seemed too big, or too scary, or too hard if it weren’t for his cheerleading a lot behind the scenes. He definitely doesn’t get enough credit outwardly for the success of the business or even the ideas, the social enterprise ideas behind it. He has definitely been the visionary behind it. He has been the servant behind it. He stayed home with our kids as a stay-at-home dad for at least a year and a half while I got things off the ground. Now, we share parenting duties and all of that, but he has put a lot of his dreams and a lot of his wishes on hold for the business and helped us really get that going. Yeah, he’s definitely the lifeblood behind it. All right. Big shout out to Neil. Yeah, this goes to you. I love you, Neil. Let’s transition here to the bags themselves, these amazing bags. Could you just start to describe your product itself? Yeah. They’re leather and fabric combination bags. Some of our bags can be made with all leather, but none of them can be made with just fabric. There’s leather somewhere on every bag. Everything is custom and made to order. Our website is interactive. You go on our website, and you pick a style of bag that you really like. We have over forty-five fabrics and three leather colors that you can click on, and see them pop up on this white sketch of a bag, and all sorts of combinations. I haven’t sat down and do the math to think about how many actual combinations of bags you could create on our website, but you’re essentially creating a one-of-a-kind piece. Then, it’s made to order with about a two to three-week turnaround time. As we were creating this company, I never wanted to be a charity. I never wanted someone to get their bag, get their product, think it’s poor quality, and then say in their minds, “At least it was for a good cause.” I never wanted that to be what people thought about our company. I wanted them to get a really awesome product that they would have bought anyways. Then, the additional exciting part is that a woman in America made this product instead of being overseas. I wanted the social impact to be equal to the amazing product. We work really hard to make our bags the best quality they can be, and we’re constantly getting feedback from our customers and improving on a monthly basis. Some of them are traditional purse-like bags. Some are more like backpacks, right? They have about 30 styles, I think. We have some small accessories. We have a keychain. It’s the smallest thing you could purchase. We have some bracelets. We have wallets. We have crossbody bags. We’ve got totes, diaper bags, backpacks. We even have a bike bag that clips on to the front of the handlebars of your bike. 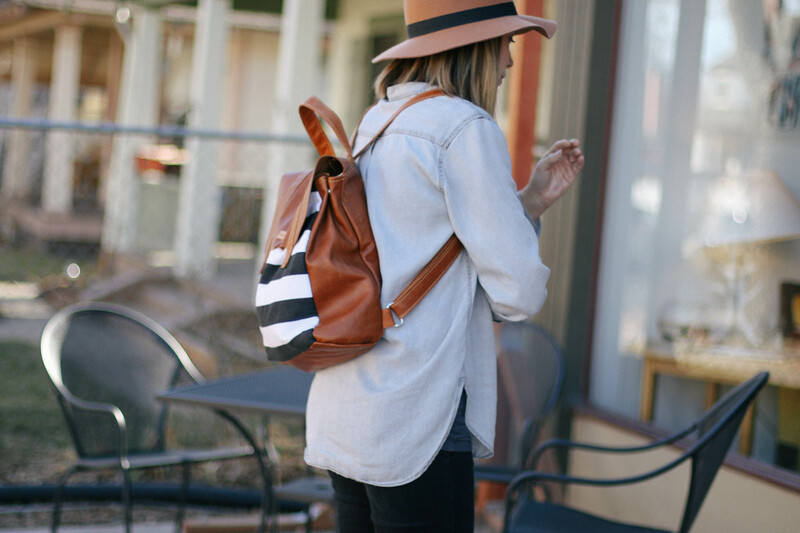 Then, it can be worn as a backpack or a crossbody. It’s a three-in-one bag. Wow, very cool. Very cool. We have all sorts of things. We know you’ve got this bag at a normal price for that bag, but you’ve done a good job because there’s enough profit here where you can take some time to be a little bit inefficient in the early stages of your production to employ these type of employee. At the end of the day, you’re making a profit. Yeah, we specifically chose to be for-profit. I think we probably could have gone either way, but I really believe in sustainable business. I really believe that if you have a product that you’re selling, then that product should be able to sustain the good that you’re doing, that you shouldn’t have to rely on donations to keep going. There was a period of time where I was working for nothing. From the beginning, we weren’t successful in a profit standpoint. My husband took me out to Panera one day and said, “If you can’t make at least minimum wage for all these hours you’re putting in, we’ve got to do something else for our family.” That’s what he said. It lit a fire under me because I loved my job so much, I didn’t care what I was getting paid, but I thought, “Wait, you’re right. We have to support our family in this too.” That’s really when I started thinking about profit margins. That’s around the same time I started hiring Nadia, our seamstresses. All got real serious about four years ago. On our website too, we have transparency images where you can see exactly where the money for each product is going. We really do try to keep our products as reasonable as possible for the American consumer but they’re not $25, they’re not something you could run out to Target and pick up because we are hiring from America and we are investing in these women, and trying to find resources for them, no interest loans, or helping them with childcare, different things as needs arise among them. That’s the story of how we got profitable. Just give us a feel, seven years ago, about how many bags did you put out per year to where you are now? Seven years ago, I was probably doing one or two a week. One or two bags a week. Now, we ship out 400 a month, I believe. Definitely gotten large. The math of that strands in my brain and all but it some wonderful, exponential formula of how that expanded. I can just tell all the listeners are listening to, “Gosh, someone found us in a blog,” or “Social media picked us up.” Sometimes, we get emails from the listeners like, “I wish that would happen to me,” but there is an element of you keeping it going. Would you mind sharing with those listeners that might be wondering about that question, “How does she keep it going?” now once you’re noticed? I think the idea of an overnight success is not true. Anything that we see pop up as overnight successes had been working tirelessly for years before they got their first break or before that blogger pinned something on Pinterest. I had spent three years working on these bags and promoting them on social media. I’ve always, in my mind, thought that I want to be the tortoise from that fable, The Tortoise, and the Hare. I want to grow really slowly and really organically because fast growth really scares me. I think a lot of people who have a large burst of growth don’t know how to handle it. I know we wouldn’t know how to handle it, and it shuts them down often, and it’s the opposite effect of what they’re hoping. I look at competitors, or people who I even think might be competitors. I try just to put my head back down to the ground, look at the path straight in front of me, and remind myself that I want to be the tortoise. I want to do this slow, and I want to do this right, and take it at a pace that works for our company. Social media is free marketing. We really would not be here if it weren’t for social media. I happen to really love social media. That was a natural fit for me to want to promote our products on Facebook, or Instagram or blogs. I had a lot of relationships in the blogging community that I could send the product to in exchange for a review to their readership, but definitely don’t write off social media as a quick and easy way to start getting your name out there. Yeah, I think that’s definitely true. It’s not an overnight thing. In one year, I should see this takeoff. I think it’s like in a four or five years; I’m hoping to have a takeoff. I always like to think of it as, to use our analogy we use all the time here, bonfires of social enterprise. It takes a minute to get that flare going but the social media works the same way for a season if you just keep putting a log on the fire, keep feeding it, it has a little bit of a movement of its own if you keep feeding it. For a little while, it will keep going on its own if you stop feeding it but it’s just a little bit of work in the beginning, but then, it’s just the process of feeding it. Yeah, definitely consistency and just keep doing it. Even if you don’t think people are looking or watching, just keeping it faithful and keeping it consistent. For some reason, some investors and some of the other folks that rate and scored businesses don’t tend to transition back to the social enterprise. If you are a social enterprise, like yourself where you’re hiring a certain people group, and you’re helping to pour into their lives, they’re human beings. They’re not robots. It’s not technology. Things do have to go slow, or I’d like to say, if it involves food, or animals, or people, we all have our living, breathing agenda, and there’s hearts involved and we all have to pay attention because if you take the time to pay attention to the people, over time, your business will stay open given all other factors. I just want to land on that for a moment. If you could just let yourself dream big, what could this maybe grow into? Your truth of the moment. Your truth, knowing your facts today. I’m always hesitant to think like that. I want to change to the way that we define success. Even like what you were mentioning before for this, we see some companies grow so fast and so quick. I don’t know that that is a definition of success for everybody. I think if we stay at sixteen employees for the rest of the life of this business and our revenue never grows beyond what it is now but we are investing well in those sixteen, and we are loving them well, and their lives are being changed, then I feel like that that would be a success. Oh my gosh, yes. I’d say so. From an idea of making a diaper bag to all this employment, how would the listeners get to your website? Would you mind giving us some of that and your social media addresses? You can go play around on our website. I really mean play around because we have customers who spend hours designing bags on our website. It’s really fun. Then, that’s at betterlifebags.com. You can find us on Instagram and Facebook, the same thing at Better Life Bags. I am personally on Instagram at Rebecca Smith Online, if you want to follow my personal behind-the-scenes journey of what it’s like to be a mom, and run a company, and all of that. I post a lot about that there on my personal account. Wow, excellent. Rebecca, thank you so much for taking the time. A big hello again to your husband and all the ladies. We love the bags and thanks for everything you’re doing. Thanks. Yeah, thanks for having me. It’s time to reveal the mystery sound. Here’s the sound we gave you last week for Better Life Bags. This is the sound of an industrial sewing machine sewing leather at the Better Life Bags workshop. Visit our Facebook page where we will announce the winners. This is Destanee, and I will talk to you next time. It’s time to close out this episode with a special Detroit artist curated by a cymbal sound. Please meet Eryn Allen Kane with her song, Honey.